LuckyBackup Linux Software to Make Backup Files on Linux also make sync between your internal hard disk and external hard disk on Linux easily. Thus how to install LuckyBackup on Linux and review about it read completely here! LuckyBackup is a powerful, fast and reliable backup & sync tool which originally developed for Linux but unfortunately the development of luckybackup is almost frozen. LuckyBackup is distributed under the terms of the GNU General Public License. LuckyBackup is an application for data back-up and synchronization powered by the rsync tool. It is simple to use, fast (transfers over only changes made and not all data), safe (keeps your data safe by checking all declared directories before proceeding in any data manipulation ), reliable and fully customizable. Download the installer from its official website, click here. For Linux Mint 17.x version select the Ubuntu 14.04 because Linux Mint 17.x based on Ubuntu 14.04. Choose the deb suffix for easy install 32bit or 64bit which is suitable for your system. LuckyBackup is easy to use, you need to click add button to start syncing your internal hard disk to external hard disk back and forth. You can set the internal hard disk as the source or external hard disk as the source. This Linux program can create a "clone" of your data at another location in no time, safely. Backup any directory (source) to another (destination). LuckyBackup copies over only the changes you've made to the source directory and nothing more. You will be surprised when your huge source is backed up in seconds (after the first time !!). Whatever changes you make to the source including adding, moving, deleting, modifying files / directories etc, will have the same effect to the destination. This features will create multiple backup "snapshots". Each snapshot is an image of the source data that refers to a specific date-time. Rolling back to any of the snapshots is possible. Sync any directories keeping the files that were most recently modified on both of them. Useful if you modify files on more than one PCs (using a flash-drive and don't want to bother remembering what did you use last. LuckyBackup first checks whether the directories you've declared exist or if they are empty and warns you accordingly. You wouldn't want your 500 GiB music collection backup (that took half a day to create !!) vanish in a second if you forgot to mount the external drive that your source is in !! You also wouldn't want to execute an rsync command if your destination folder is in an external drive that you also forgot to mount. The add/modify operation dialog is quite simple and everybody can use it with confidence. Hit on the "advanced" pushbutton at the operation properties window and a whole bunch of other options will appear. Exclude any file, folder or pattern from the transfer. Use this option to only transfer over specific file(s), folder(s) or pattern(s) within your source directory and nothing else. Evince Document Viewer - Fast and Light PDF Reader on Linux. This is the lightweight Linux program to open PDF on Linux. 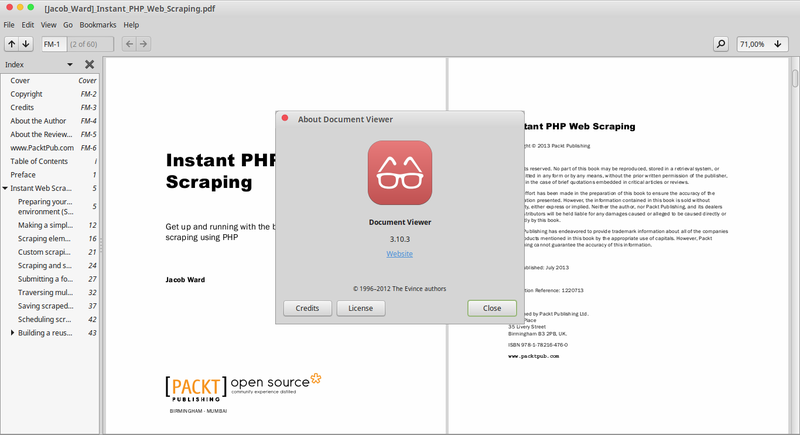 How to Install Evince Document Viewer on Linux and review about it read it here! 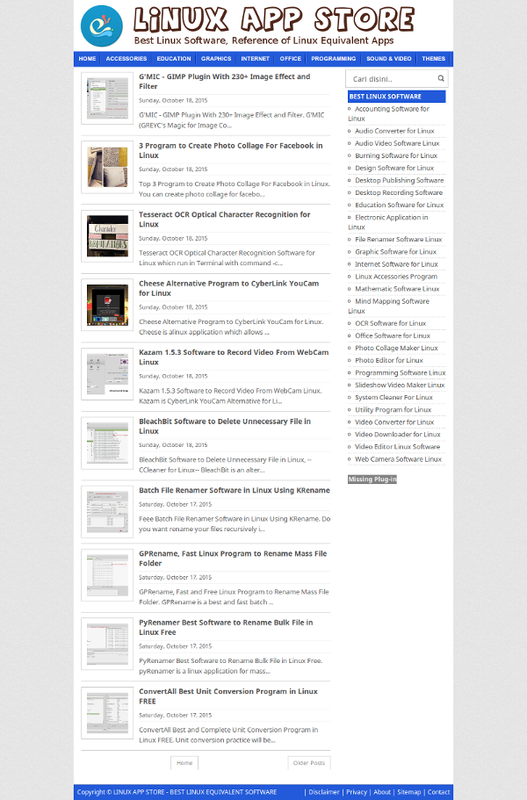 Evince is a document reader for several file formats. It presently supports PDF, postscript, djvu, tiff and dvi. The objective of Evince is to replace the several file viewers that exist on the GNOME Desktop with a single easy application. The Evince can search your PDF document and displaying the number of search results which is found and highlighted the outcomes on the page. When index information is consisted of in a PDF Evince will display it in a tree format. Evince can open PDF documents that have been secured. It carries out ATK interface, so it's accessible. Evince is a Linux document viewer for numerous document formats. 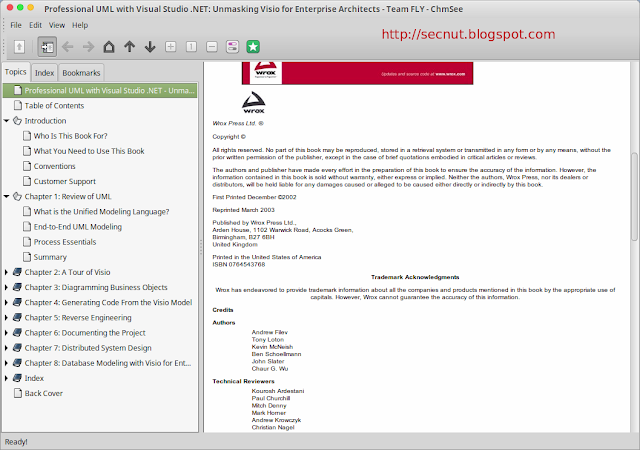 The objective of evince is to change the multiple document viewers that exist on the GNOME Desktop with a single basic application. Evince is specifically created to support the file following formats: PDF, Postscript, djvu, tiff, dvi, XPS, SyncTex support with gedit, comics( cbr, cbz, cb7 and cbt). Evince Document Viewer is the best program on Linux to open PDF file. The table of content is displayed on the left side in a tree view is called Side Pane, when the document has no table content index the Side Pane will display thumbnail view for you. You can display or hide the Side Pane using F9 button on your keyboard, or you can do it using View >> Side Pane. The reading mode of Evince can be displayed as dual mode or single mode with continuous mode. In single mode (untick View >> Dual) you only see single page when you read your PDF. For dual mode (tick the View >> Dual) you will see left page and right page of PDF, which is mean that you will see two page of PDF in a screen. You can also search your document, the search result will be displayed on the Side Pane, enter your keyword from the search button. Shutter, the DuckCapture Alternative in Linux Capturing Tool --Shutter the Linux Software to Capture Scrolling Windows. Linux equivalent software for DuckCapture is Shutter. This article will guide how to install Shutter, and Shutter review. Shutter is an alternative to DuckCapture in Windows OS. This tool allow you to take screenshots of "Scrolling Windows" such as: long webpages, long nemo or nautilus window which contains lots of files and folders etc. as a single image file. Shutter comes with four capture modes that make screen capture easy! Capture a window on your screen, region of your screen, or the contents of a tall web page that scrolls. You can easily edit, and share a screenshot. Don’t waste time cropping your captures. Shutter is exactly what you need. Get just the window, not the stuff behind or around it. Draw a box on the screen and capture whatever is inside. Can’t fit it on the screen? DuckCapture auto-scrolls the web page or window and grabs it all! Once you finished basic capture, you can start editing right away: draw annotations with arrows, blocks, and more. Open Shutter, and click "Take a screenshot of a website"
You will see result. you only get a list view of the files, but a tall one at that. This may be of some use for you, but it probably isn't ideal. Shutter is the best screenshot tool for Linux which have great facilities to edit picture directly, giving text watermark, cropping, and many more. 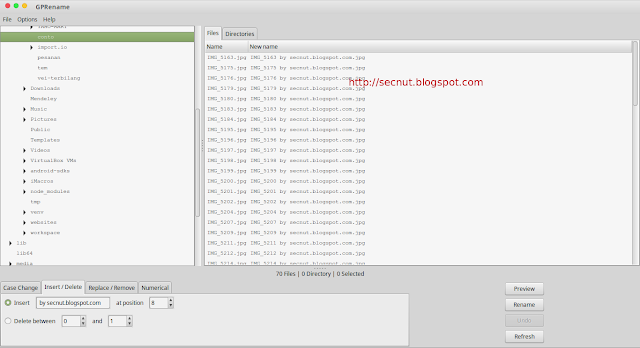 Feee Batch File Renamer Software in Linux Using KRename. Do you want rename your files recursively in Linux? This guide will provide how to install Krename and review about KRename. 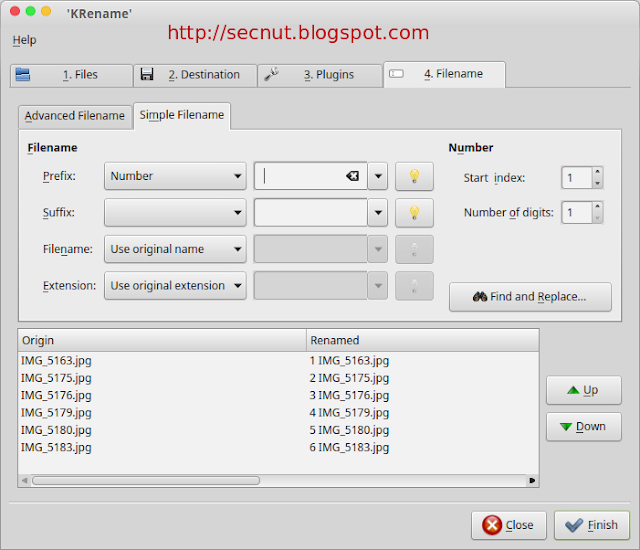 From its official website, KRename is a powerful batch renamer for KDE which provide functionality ro rename hundreds or even more files in one click. The filenames can be changed by parts of the original filename, numbering the files or accessing hundreds of informations about the file, like creation date or Exif informations of an image. With KRename, you can rename files, copy files, moving your files, Undo Renaming (via BASH Script), create shortcuts, and overwrite your files. KRename is very useful for renaming pictures by number, it can do MP3s by tag and other stuff too. It also can rename a list of files based on a set of expressions. it can copy/move the files to another directory or simply rename the input files. Beside of KRename, there are some Linux program used to rename files and folders such as pyRenamer and GPRename. GPRename, Fast and Free Linux Program to Rename Mass File Folder. GPRename is a best and fast batch renamer for files and directories program at one time and it is released for free. This article will guide you how to install GPRename and review about GPRename. GPRename is an outstanding tool to use in place of writing shell scripts in order to rename multiple files and folder in Linux. You won’t find an easier tool for this task (if you’re not already used to whipping up a shell script). GPRename has same GUI and functionalities similiar to pyRename. GPRename is a complete batch renamer for files and directorys. GPRename easily can replace, remove, insert, delete and number consecutively files and directorys. GPRename is the best software for renaming files and folders in Linux. It has same value as pyRename because has same interface. Both are the best software for renaming file. 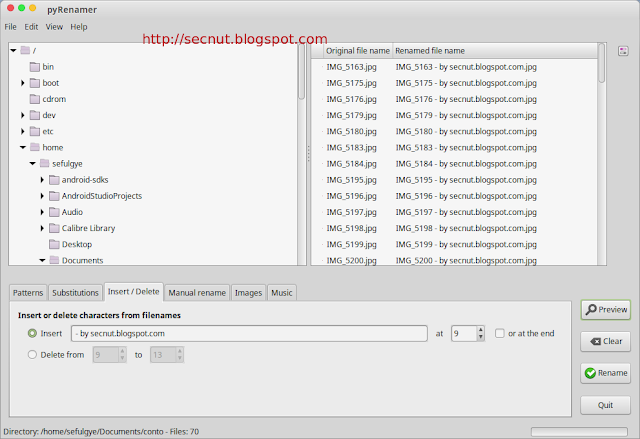 PyRenamer Best Software to Rename Bulk File in Linux Free. 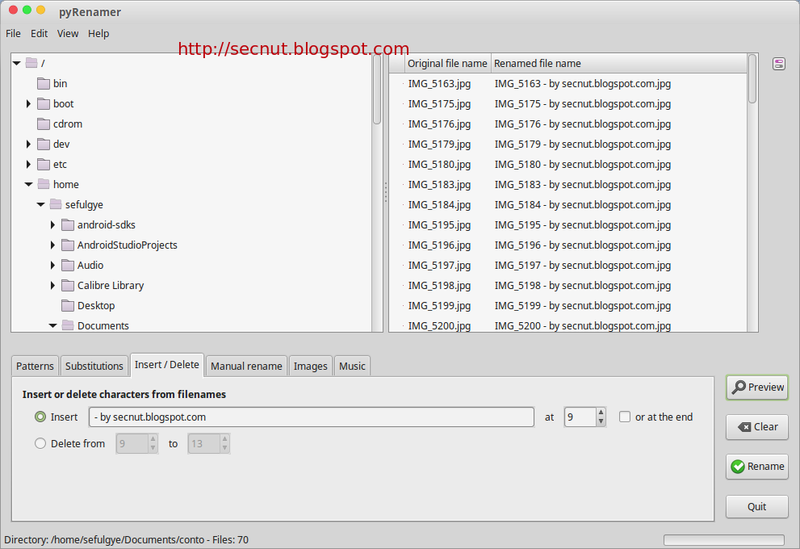 pyRenamer is a linux application for mass renaming files even rename only part of the title or file name. This article will guide how to install PyRenamer and review about pyRenamer. File renaming software download free: pyRenamer can also be used for mp3 file renamer software and image file renamer software which can catch metadata from picture of mp3 file in linux. With pyRenamer you can rename files using patterns, substitutions, insert or delete text, or even rename files manually. You can also rename images using their EXIF tags and music using their internal tags. pyRenamer is released under the terms of the GNU General Public License. pyRenamer uses a widget called treefilebrowser.py, which is a tree-like file browser, just like the one on Nautilus side bar. Search & replace to rename files. Rename images using their metadata. Rename music using its metadata. pyRenamer is a Gnome application which allows you to rename large numbers of files according to some patterns you choose. The renaming perform really fast, and before the actual renaming, a "preview" step takes place where you can see if the operation is correct. For users not very familiar with the command line, pyRenamer can be a real savior when it comes to mass file rename. 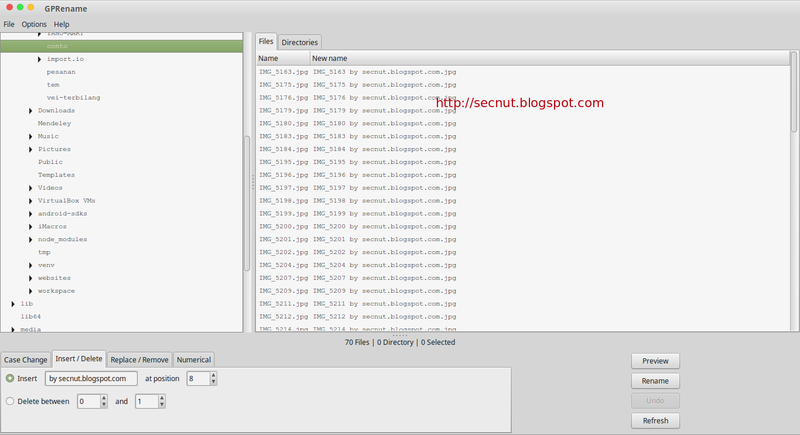 Another Best Software to Rename Bulk File in Linux Free is GPRename, check this out! ChmSee - Best Software to Open CHM Files in Linux. ChmSee out dated? See here how to install ChmSee and review about it. CHM is a Microsoft Compiled HTML, a single file which contain many HTML (Hyper Text Markup Language) pages, has index and navigation. The files are compressed and deployed in a binary format with the extension .CHM, for Compiled HTML. The format is often used for software documentation. ChmSee is a Compiled HTML Help (CHM) file viewer written in GTK+. ChmSee is not being developed anymore. I haven't read CHM documents more than a year, new and update IT books are pdfs or epubs, so it's right time to end this chm viewer. There are so many linux program to open CHM file such as XChm and KChmViewer, but we recommend ChmSee because it is light weight and support arabic font. So for you who need the best software to open CHM file in linux, ChmSee is the solution! I have tested this on my own Linux Mint 17.2 Rafaela machine and I can confirm it works. 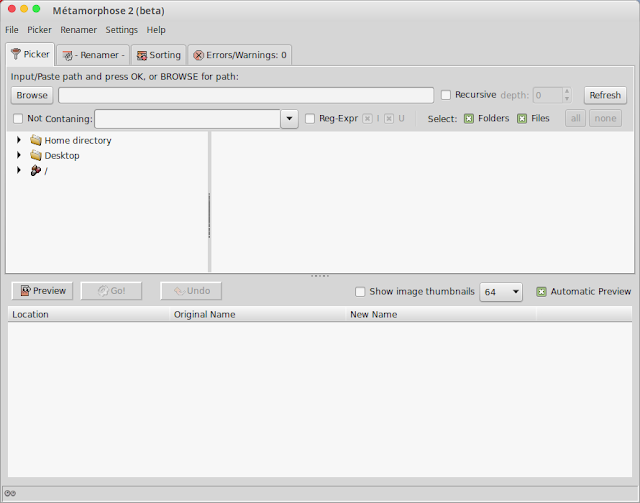 Batch Renamer File and Folder in Linux Using Metamorphose. This tool is used as a batch renamer, a program to rename large sets of files and folders quickly and easily. This will guide how to install Metamorphose and review about it. With its extensive feature set, flexibility and powerful interface, Métamorphose is a profesional's tool. A must-have for those that need to rename many files and/or folders on a regular basis. In addition to general usage renaming, it is very useful for photo and music collections, webmasters, programmers, legal and clerical, etc. Preview every item to be renamed before comiting changes. Recursive renamer : load all files in directory and in subdirectories. Undo changes in case of mistakes. Rename music and image files by their metadata information. Full unicode support means any character from any language can be used. Use of all allowed characters under Windows and OSX, all except ':' in Linux. First time you open Metamorphose 2, you will be asked language preference and some settings. Metamorphose can handle mass rename job which can be finished in few minutes. 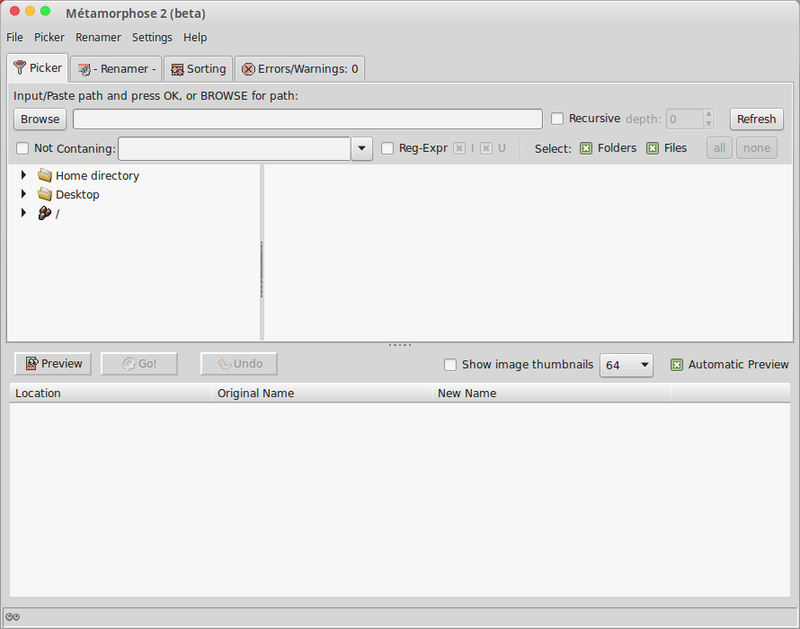 It also has preview images (Métamorphose v.2 only), can save all program settings to file for later use. Renaming operations, which can apply to name and/or extension such as prefix and suffix. Replacement, modification, or move by: Character, position, or regular expression. Insertion by : Position or every (number) characters. Length modifications (padding, truncating, or both). You can also modify your file name to UPPERCASE, lowercase, Capitalize first, Title Style, sWAP cASE, 'DoRkIfY'. How to Create Battery Warning on Ubuntu Linux Mint. You can make a battery notification that warn you when your battery getting low or fully charged. We have made a Battery Warning that display low battery warning and full battery warning for Ubuntu and Linux Mint. This is my small creation of low battery notifications and full battery notification. Now you can see a battery notification Window in your linux desktop. Battery Warning is a small application created using Java. This app will show full battery notification for Ubuntu and Linux Mint when your laptop battery is full or based on your battery level setting. Also display low battery notification Window on your Linux Desktop. This Battery Warning using ACPI and will monitor ACPI battery level. You can edit battery level by opening ".batterywarning.sh" file. See line 8 and 15 for detail and save your work. 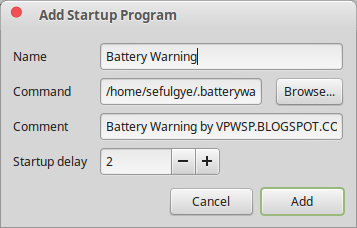 And finally you have finished the way How to Create Battery Warning in Ubuntu Linux Mint. After next login or restart you will see a Window when your laptop battery gain top battery level also when your battery is low. Like this Linux tutorial? Please share.. Choose Linux Mint Mate or Cinnamon or XFCE or KDE ?